Matt Smith of Dr. Who fame will play a new character with a strong connection to John Connor in the Terminator reboot. The film also stars Arnold Schwarzenegger, who was in the original franchise, Jason Clarke, Emilia Clarke, Jai Courtney, J.K. Simmons, Dayo Okeniyi and Byung Hun Lee. 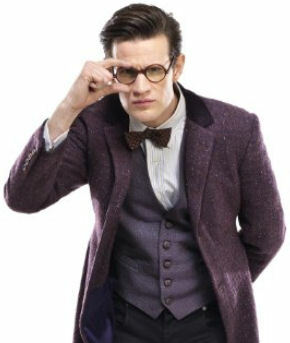 Smith played The Doctor on the popular Doctor Who television series during the 2011-2103 seasons. He can be seen on the big screen later this year in the film Lost River. The film is directed by Ryan Gosling and stars Christina Hendricks, Saoirse Ronan and Eva Mendes. Paramount Pictures will release “Terminator” worldwide on July 1, 2015.